555 Cougar Bluff Point #107, Colorado Springs, CO 80906 (#2832692) :: Fisk Team, RE/MAX Properties, Inc.
Beautiful and clean ground floor easy access condo in Cheyenne Mountain school district 12. Close to Ft Carson and Broadmoor. 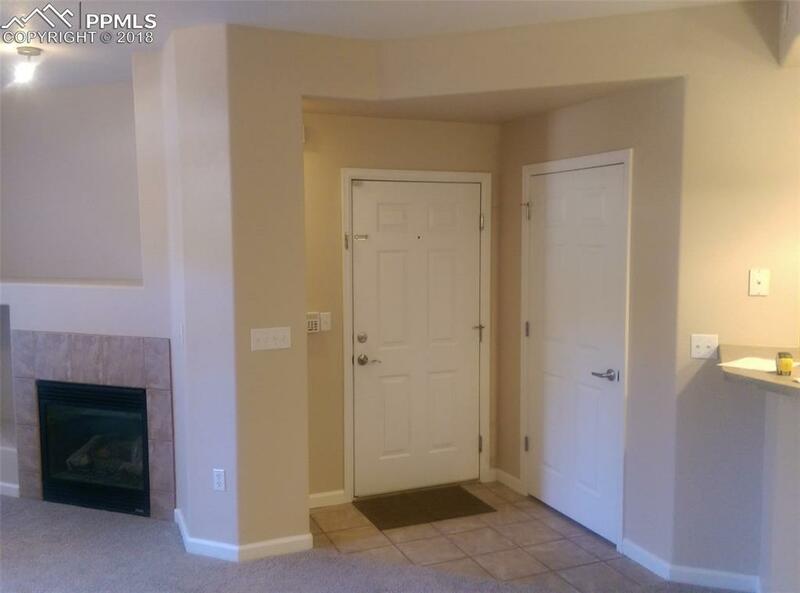 Move-in ready with new carpet and paint, 9' ceilings in living and master bed rooms, and two walk-outs to the covered patio. 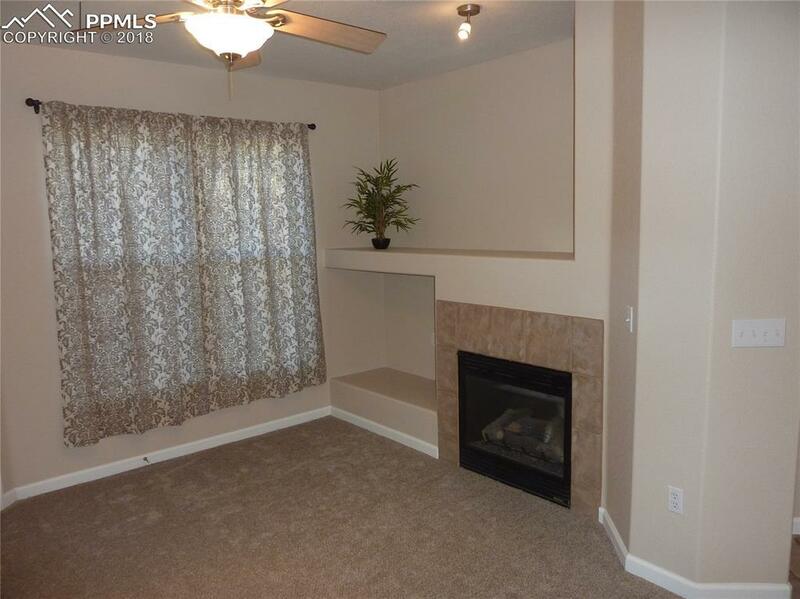 Warm gas fireplace next to a built-in entertainment shelf. Bright kitchen has abundant hickory cabinets with pantry, tile floors, and lots of counter space and an eat-in bar. Master bedroom features a large tiled bath, wide doorways and walk in closet. 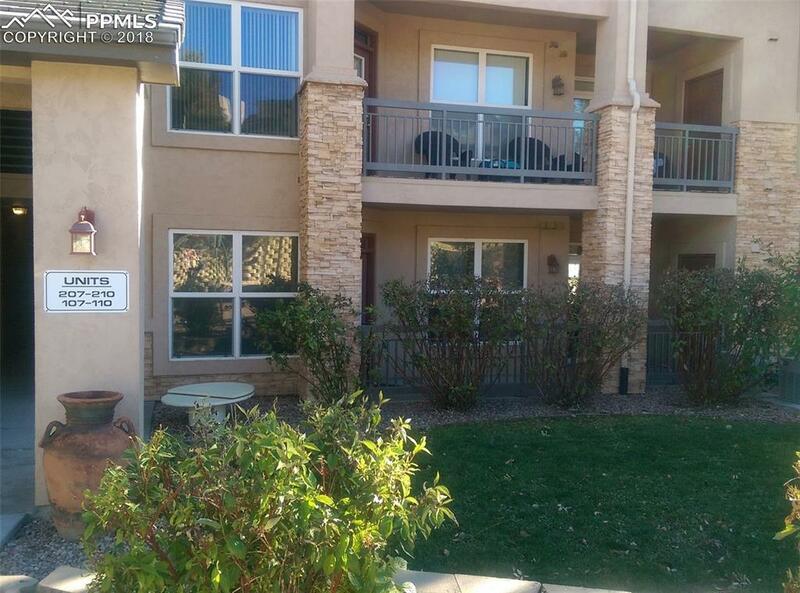 Central A/C, stacked washer/dryer laundry center between bathrooms, deep 1 car garage and second storage area are deeded to this unit and located one level below the condo. A handicap parking space is just feet from the entry door to this unit. Community meeting area is adjacent to the building, and abundant owner parking surrounds this complex. 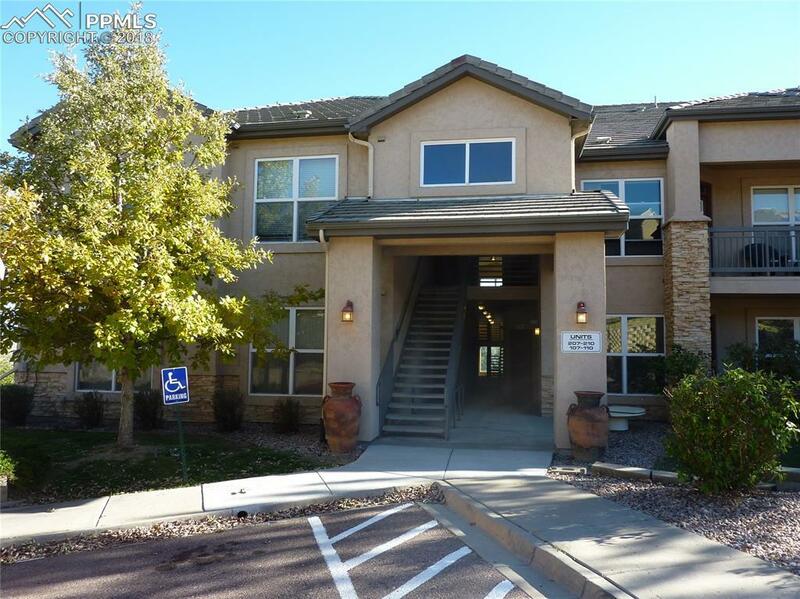 Easy access to I25, shopping, Fort Carson gates, and downtown. Listing provided courtesy of Broadmoor Bluffs Realty.